It helps if your organization is on the radar of one of the world’s–and social media’s–most influential pop stars. 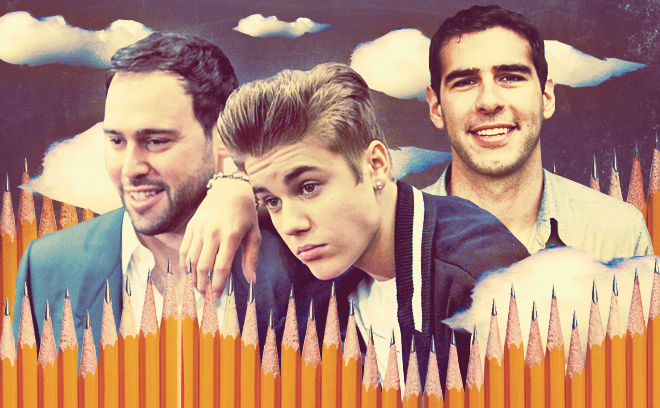 But for Adam Braun, founder of education charity Pencils Of Promise, Bieber was just one building block. While traveling on a Semester at Sea in 2005, Adam Braun met a boy in India. When he asked the boy what he wanted most in the world, the boy said: “A pencil.” Adam reached into his backpack, pulled out a pencil, and gave it to the boy. It could have sufficed as a poignant rejoinder for cocktail conversation, but the moment stirred something deeper in Adam. Braun went on to found Pencils of Promise, which raises money to build schools that provide basic education for preschool and primary age students in remote villages. School sizes range from 20 to 200 students. In three countries the schools have served more than 4,000 students. Last month Pencils of Promise reached a milestone, marking the completion of their 50th school. And Braun and his team of 50 (10 in New York and 40 in the field) are on track to add another 50 schools by the end of 2012. At the heart of Pencils of Promise are members of its influential social media community–namely, one Justin Bieber, who has been a spokesperson for the organization for two years. A 2011 study revealed that on a regular basis 1% to 4% of all tweets are related to Justin Bieber. Bieber himself has 20.8 million followers, and thousands of accounts proudly state their allegiance to the teen idol. Bieber is active online and off, regularly sending out information in addition to visiting projects abroad and meeting with young supporters in the U.S. If I wanted to start a great nonprofit, it couldn’t be run by passion alone. That drive is what makes Pencils of Promise more than a passion project by a guy with influential friends and family. As invaluable as Bieber’s contribution has been, for example, it’s not the linchpin of Braun’s operation. He and his team have developed several social media initiatives designed to build an influential, active community. One, for example, called PoP Stars, is a web feature that highlights stories–usually found through Twitter or articles–from the organization’s supporters around the world. Every month, PoP community members can vote for the “PoP Star” of the month. Pencils of Promise claims to have one of the largest social media presences of any nonprofit started in the last four years. While at Bain, the ultimate goal of starting an education organization was never far from Braun’s mind. Finally, in 2008, on his 25th birthday, Braun launched Pencils of Promise. He put a $25 check in a bank account and threw a birthday party asking each guest to make a small donation, too, to support building the first school. That night over 400 people came, each donated around $25. The following year, Braun left Bain to focus full-time on his nascent organization. Using what he had learned at one of the world’s leading consulting companies, he began to work on a strategy for what would undoubtedly be a daunting task. From the outset Braun aimed for a focused impact, so he chose three countries: Laos, Nicaragua, and Guatemala. Even though there is tremendous international discussion about lifting developing countries out of poverty through education, these three countries–very much in need–have not received the kind of attention that some others in the developing world have. As a result Pencils of Promise sees a bigger need and the potential for a bigger impact in these locations. When you’ve done anything for a long period of time it’s difficult to acknowledge, accept, and then implement radical change. In addition to their work in the three countries, Pencils of Promise has focused domestically on building a strong community of supporters. “We’ve really put a big emphasis on trying to grow our movement through digital means,” says Braun. “As the world had become digitized, the nonprofit industry has seen a mandated move towards greater transparency. Donors want to see exactly where their money goes.” On the Pencils of Promise website anyone can view the details of each school, when it opened, how many students it serves, the village name, the school name, and photos of the students who attend the school. From Braun’s perspective this level of detail not only provides financial transparency, but uses visuals to build a direct connection between the organization’s work and those who support it.